Hayden Summerall was born on the 4th of April 2005, in Dallas, Texas, United States of America. He is currently 14 years old. There’s nothing much known about his love life. In fact, he is too young to get involved in a relationship. However, he was rumored to be dating fellow social media stars Mackenzie Ziegler and Annie LeBlanc. 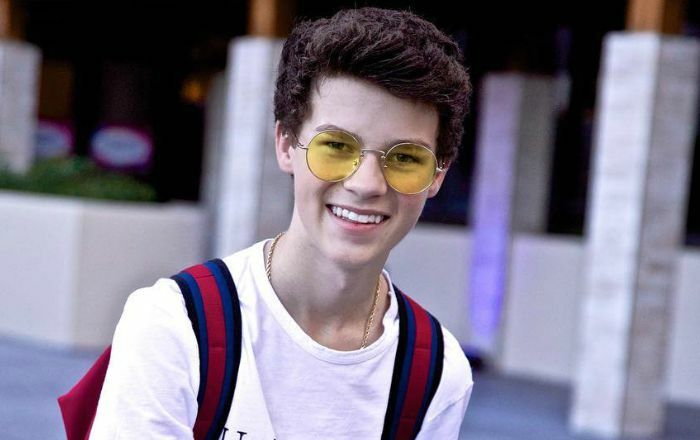 Hayden Summerall released his debut single titled “Smiles For You” in February 2018. He has released a lot of covers from popular artists on his YouTube channel. He hasn’t acted in any film or TV show yet. However, he was cast in a leading role in the popular web series Chicken Girls. Known for his starring roles in the romantic drama web series, Chicken Girls and in the comedy series, Keys. Known for his music covers, original songs, TV appearances, strong social media presence and frequent collaborations with other internet celebrities. Hayden Summerall has an estimated net worth of $500,000 dollars. He earned this money from YouTube ad revenue, promoting brands on social media, public appearances, and music sales. He lives in Los Angeles with his parents and brothers. The young musical star and internet celebrity have earned over 2.5 million followers on Instagram, 332k followers on Twitter, 128k followers on Facebook and 865k subscribers on YouTube. He is the younger brother of Jimmy Summerall, Hunter Summerall and Dylan Summerall. He loves Singing, Rapping, Acting, Football, Baseball, Scooters, and four wheelers. He moved to Los Angeles to pursue a musical career and he got a huge break in 2015 when he uploaded a cover to his YouTube channel. It was well received by fans. His brothers promoted the music video on their respective social media channels since they were already popular across the internet. In December 2014, he participated in a meet and greet called Winter Lights 2 in Phoenix, Arizona. He published a cover of Jake Miller’s ‘Goodbye’ to YouTube. If he weren’t an actor and singer, he would be the quarterback of an NFL football team. He has a big crush on the fictional character Wonder Woman.